Many, many years ago, sitting on the library floor, next to the shelves, reading a book about careers in journalism, I came across a passage on photography. My life turned at that point and I began to pursue a career as a photographer. Fast forward to today and I wanted to find a way to combine the enlightenment that can be found through the library, reading and photography and so I began a new project. I have been documenting the New York Public Library books I have read over the last two years making a visual reading list. Photographing the back covers because, let’s face it, the back is where the cover action is. The place for a continuation of design or an abandonment of it. A place to host a photograph that may be complicated, a list of endorsements or even a colorful blank! Beyond the actual cover & the content of the book though, these photographs are also a meditation on the beauty of the physical object. A paper, card, cloth and plastic covered object, pocket sized or unwieldy, found often by accident, and passed from hand to hand, neighborhood to neighborhood. 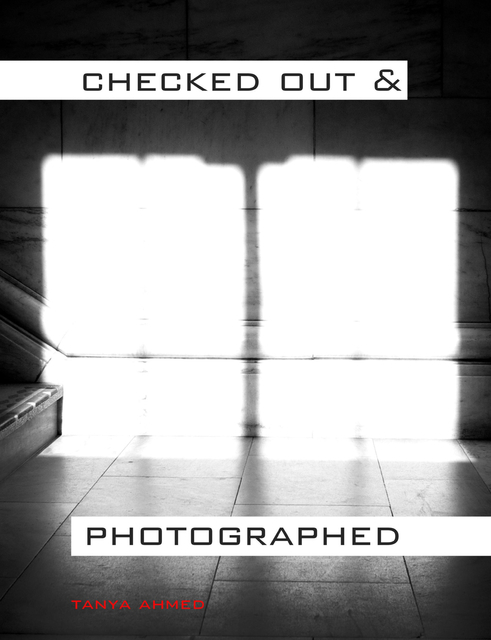 Finally the photographs tell a story about the NYPL system too. The specific books I borrowed came to me via my local branch at East 96th Street, each one labelled with the names of the different NYPL branches they originated from. I also wanted to photograph the magnificent Stephen A. Schwarzman Building, the famous NYPL building at 42nd Street and 5th Avenue. Walking the corridors I was struck by the spill of light which almost seemed to illustrate the quote by Thomas Jefferson featured on the mantel of the fireplace in the Trustees room: “Look to the diffusion of light and education as the resource most be relied on for ameliorating the condition promoting the virtue of advancing the happiness of men.” Thomas Jefferson. One of the joys of the library is to find the most perfect book that you were never looking for. Maybe you will find that book in this list.